Finally, we get to hear Spencer Pratt’s thoughts on Bruce Jenner’s transition. 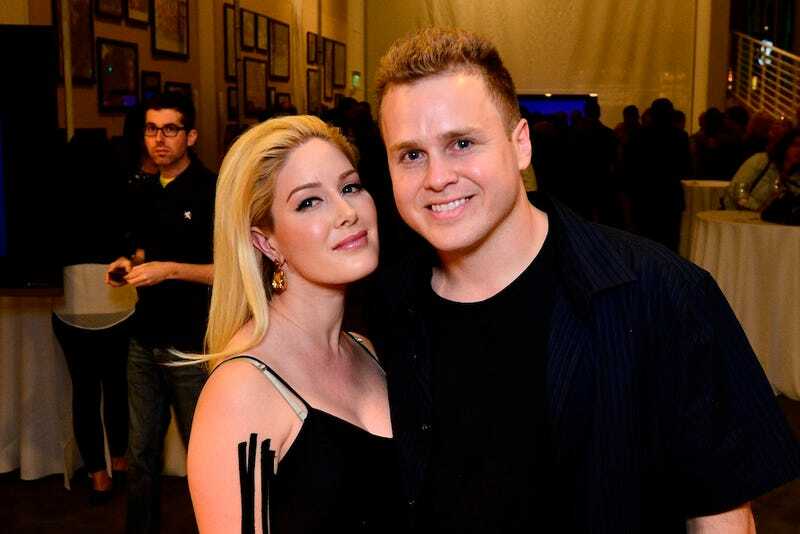 The former reality star and husband of Heidi Montag (yes they are still together) used to be close friends with Jenner’s son Brody as well as his co-star on The Princes of Malibu and The Hills. Pratt and Montag also listed all of the reality shows they watch, which included Love & Hip Hop and Total Divas. “So much more fun watching than being on reality TV,” said Pratt. That’s too bad. I’d probably watch a Speidi reality show these days, especially if Spencer was still really into crystals, but I recently lurked Spencer’s Instagram and only saw pictures of him doing jiu jitsu and eating giant burritos.